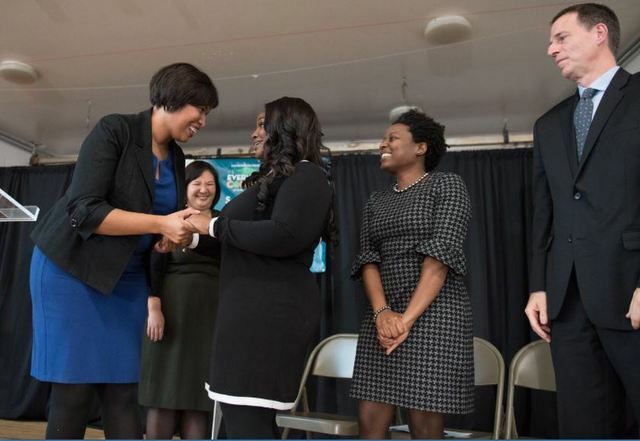 A teacher in Ward 6 had a surprise guest in the classroom roster on Monday- Mayor Muriel Bowser- who surprised third grade teacher Kelly Harper with the 2019 D.C. Teacher of the Year Award. With this honor, Harper a teacher at Amidon-Bowen Elementary School, will receive a $7,500 cash prize, $1,500 for travel to conferences and other forms of professional development and is now in the running for the National Teacher of the Year Award. 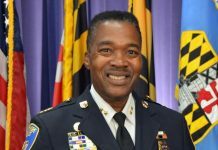 The award is given to a District of Columbia Public Schools (DCPS) teacher who has “demonstrated outstanding leadership and commitment to student achievement,” according to a press release. Acting Deputy Mayor for Education Paul Kihn, State Superintendent of Education Hanseul Kang and Interim DCPS Chancellor Amanda Alexander were also present for the surprise in Harper’s classroom. As a Washingtonian making a difference in the lives of District students is major for Harper. 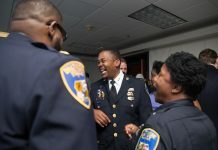 During Harper’s time at Amidon-Bowen, the school’s academic rates have improved growing 6.1 percent in English and 4.6 percent in mathematics, according to the release from the mayor’s office. “In her many roles at Amidon-Bowen Elementary, Kelly Harper has provided caring support for her students and her colleagues throughout the District. It is with the leadership and engagement of teachers like Ms. Harper that we will continue to recruit and retain great and talented teachers at schools across the District,” said Kang. Harper wasn’t the only teacher recognized on Nov. 5. The Office of the State Superintendent of Education (OSSE) also awarded the 2019 D.C. Teacher of the Year runner-up award to Karen Lee, a 12th grade social studies teacher and social studies department chair at Thurgood Marshall Academy Public Charter School in Ward 8. Lee has taught social studies in Southeast for 14 years. In addition, OSSE named two finalists for the 2019 D.C. Teacher of the Year Award, Caity Schneeman, a high school theater teacher at Kipp DC College Preparatory High School in Ward 5, and pre-K3 teacher Jennifer Leehey Coyne, who works at Seaton Elementary School in Ward 6.